With our roots dating back to 1886, C.F. Cooper® is dedicated to providing quality tools to professionals around the world. With a prestigious brand portfolio including SIMONDS®, C.H. HANSON®, MEGAPRO®, and CFCOOPER® we offer a full range of hand tools and cutting tools for heavy-duty applications. For more detailed product information, please visit our online catalog . Our patented C.H. 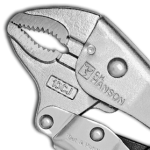 HANSON® Automatic locking pliers are the only self-adjusting locking pliers on the market. Unlike traditional locking pliers, they don’t require turning a knob to adjust the jaw size. The patented locking mechanism automatically adjusts the jaws to the thickness of the material and locks on with the same force of standard locking pliers. They are 7x faster and 100% easier! Our patented C.H. 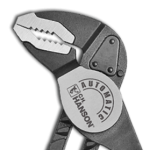 HANSON® Automatic groove pliers are the only self-adjusting groove pliers on the market. Unlike traditional groove pliers, they don’t require finding a groove to fit the material. The patented spring mechanism automatically adjusts the jaws to the thickness of the material and grabs on with parallel jaws. They are 2x faster and 100% easier! 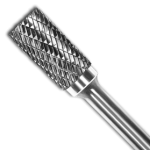 Our new SIMONDS® carbide rotary burs are designed for heavy-duty applications and are built to last. Available in both single and double cut versions in 13 different head shapes, they are CNC machined from solid tungsten carbide and are automatically brazed to the alloy steel shank with copper & silver for a superior bond. Try one for yourself and see why they are providing users around the world with The Professionals’ Edge™. Copyright © 2018 C.F. Cooper Inc. All Rights Reserved. All trademarks are registered by C.F. Cooper or its affiliates.